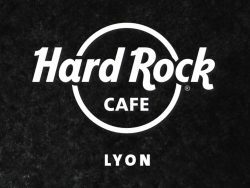 Hard Rock Café has continued its deployment in attractive French cities, choosing Lyon for a new concept. In fall 2016, at the heart of the Presqu’île (at 1 avenue du Président Carnot) Hard Rock Café will open its 4th restaurant in France. But the restaurant in Lyon will have a special feature, offering its customers a concept adapted to the region: the food and wine offered will pay tribute to the local gastronomic heritage. This trendy concept, invented by Lyon residents, will supplement the staples of the British chain: high-quality fast-food fare served in a space with walls covered in music memorabilia of all kinds, such as stars’ guitars, sheet music and stage costumes. The 1,200 sq. meters of the Hard Rock Café Lyon will also feature a stage for concerts and shows, and a shop selling related merchandise. In a setting graced by elegant architecture and modular spaces, patrons will be immersed in a warm and modern experience, anytime of the day. Aderly helped the group get set up in Lyon, in particular by introducing it to the business partners and players of the Presqu’Ile: the Métropole de Lyon, the CCI Lyon Métropole Saint-Etienne Roanne, the City of Lyon and the Tendance Presqu’Ile association. Hard Rock Café was also supported by Aderly’s Human Resources unit, to hire staff. Finally, the Agency and ONLYLYON worked closely with the Hard Rock Café Lyon on the announcement of the restaurant’s opening in the local press. The work began in April 2016, and the restaurant is slated to open in the fall. This emblematic new addition will play a major role in the commercial revival of the Haussmann-style Grolée-Carnot district.